I'm breaking my convention report into several blog entries. The first is "Part I - Before," the name of which should make clear that it covers everything up to the actual beginning of the Film Festival on Friday afternoon. Though the H.P. Lovecraft Film Festival and CthulhuCon didn't officially start until Friday, "con weekend" started Tuesday for me and my wife Lena. 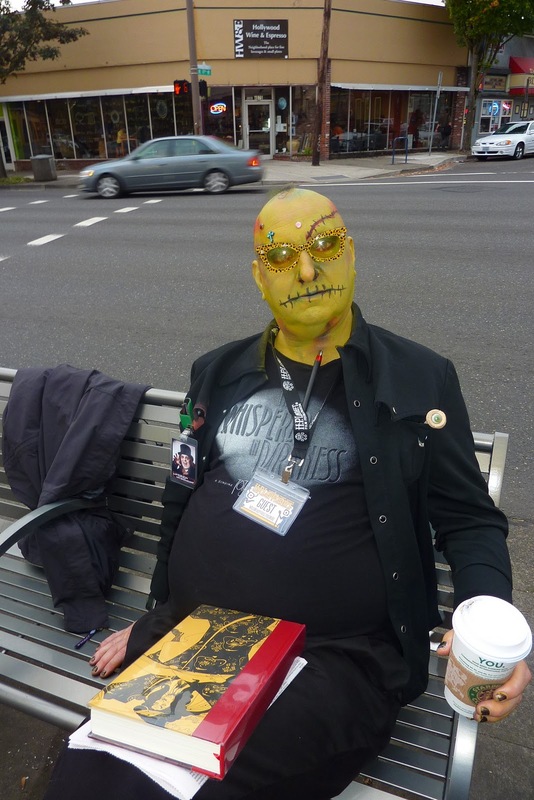 Tuesday evening we went to PDX (that's the airport -- I'm philosophically opposed to calling Portland by that abbreviation) to pick up author, convention guest and noted weirdo Joe Pulver. 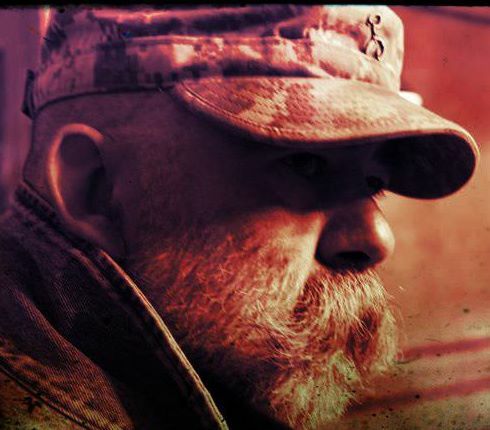 Joe writes under his full name Joseph S. Pulver Sr. and you can read about him here. Joe had been a good online and long-distance friend for a bit less than two years, but this was our first time meeting Joe face to face. In this internet age, many of us have experienced the shock or disorientation of meeting an online friend and finding little similarity between the expectation and the flesh-and-blood person. Probably because of so many Skype video chats, Joe looked, moved and spoke exactly like we expected he would. No weird surprises at all, just familiarity. My theory is that when it comes to meeting online friends, this potential shock can be diminished by speaking to them on the phone, at least. Even more helpful in matching one's preconceptions to a semblance of the actual individual is the video chat, such as Facetime or Skype. 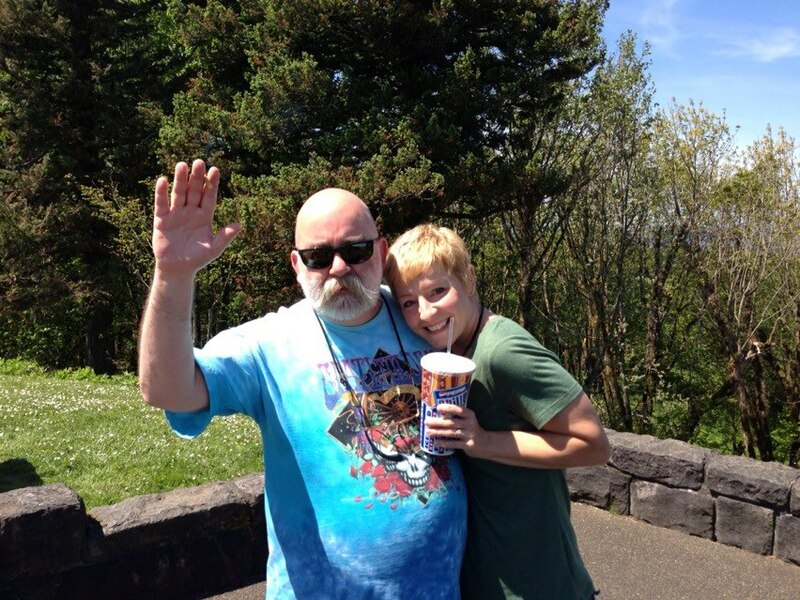 Joe had warned us that the 26 hour flight from Berlin to London to Dallas/Fort Worth to Portland would probably leave him sore and tired, but he arrived buzzing with energy and enthusiasm. While we waited in baggage claim, I emailed an important friend of Joe's back in Berlin to let her know he'd arrived. My clever wife had left a beef stew dinner simmering at home, so when the ravenous bEast (Joe's nickname) arrived, there was food to be had. After dinner, Lena and I thought, "Surely now he'll crash and sleep for 16 hours," but he was still buzzing almost until midnight. Neither she nor I had traveled 26 hours that day, but we finally had to surrender and say, "OK, time to sleep." 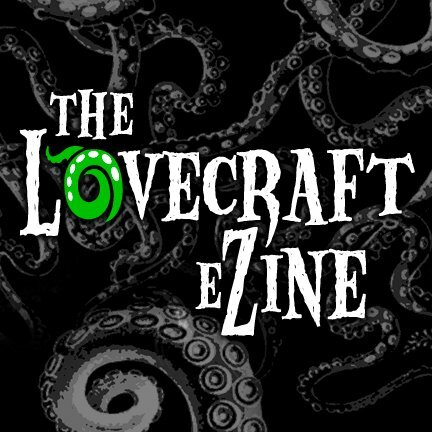 Wednesday I had to work the first half of the day, and after that I picked up our second guest, Mike Davis, editor of Lovecraft eZine. Also a guest at the convention, Mike had been offered a hotel room by the con organizers, but wanted to come a day earlier than the room was available. We offered to pick Mike up, let him stay with us Wednesday night, then take him down to the Hollywood district to get his room at the Banfield. Back home, we dropped off Mike's luggage and picked up Joe and Lena for a Mexican food lunch -- not Portland's best, but a place nearby with a huge menu offering something for everyone. 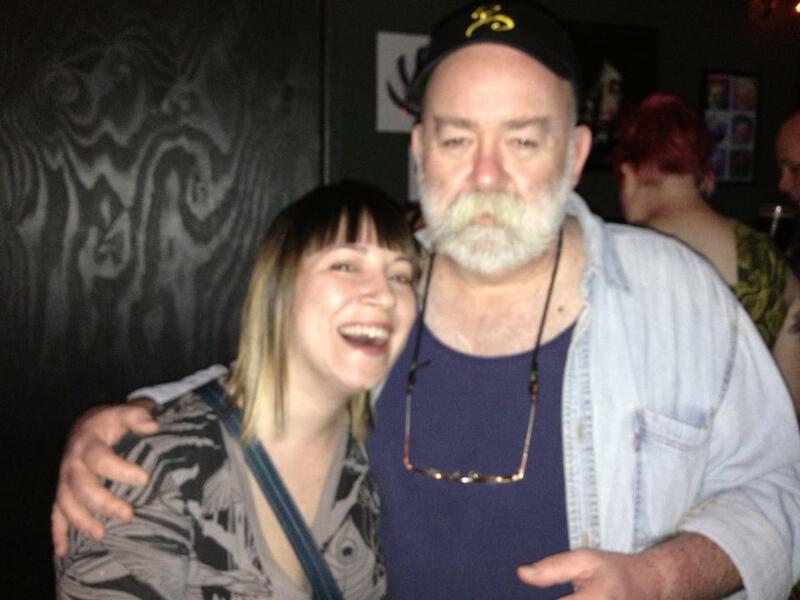 As with Joe the night before, Mike seemed instantly familiar to the rest of us. Further proof of my theory that if you don't want your internet buddies to seem unfamiliar as aliens when you finally meet up, you ought to Skype or Facetime first! After lunch, Joe wanted to take a trip to WalMart to pick up a few mundane essentials not readily available in Berlin. We ended up browsing slowly, ranging all over the entire store. Lena and Mike chatted, getting to know each other a little better. 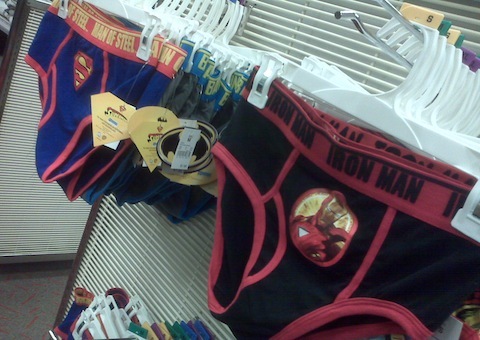 I tried to get Joe to buy a tiny outfit of Iron Man "top and bottom" underwear, but he wouldn't do it. Possibly they would have been too small, anyway. We also picked up a few items needed for dinner. As an American resident of Berlin for the past few years, Joe had a list of favorite foods he wanted to experience while stateside. Tonight it was grilled bratwurst (it only occurred to me later than Joe probably had no problem finding German sausage in Germany), plus corn on the cob and cole slaw. After, we watched Berberian Sound Studio (see my earlier review here), at least until Joe started falling asleep sitting up on the couch. That night, nobody had to be convinced we could use some sleep. Thursday morning I made a giant frittata and 2 pounds of thick-cut bacon. The enormous vat of eggs and cheese and shredded potatoes took an eternity to bake, but the end result, combined with the mountain of bacon, kicked off a nice week-long stretch of overeating. Grub! 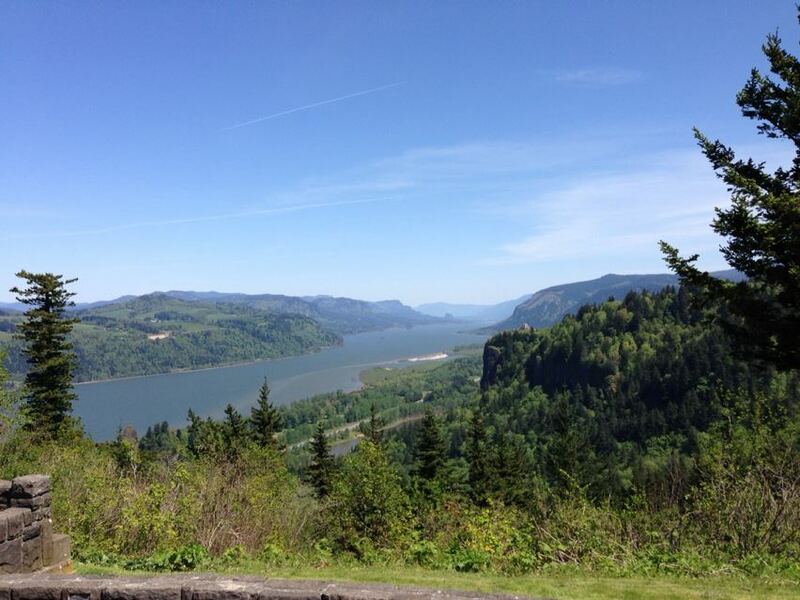 Our plan for the early part of the day was to take a scenic drive out the Columbia River Historic Highway. Mike wasn't feeling well, and decided to stay at the house and rest up. We made it as far as the Women's Forum Overlook before we found the highway was closed for construction. We sidetracked to the main highway, and reconnected with the scenic route past the construction, near Latourell Falls. This drive, when it's open, is one of my favorite outings on which to take visitors. 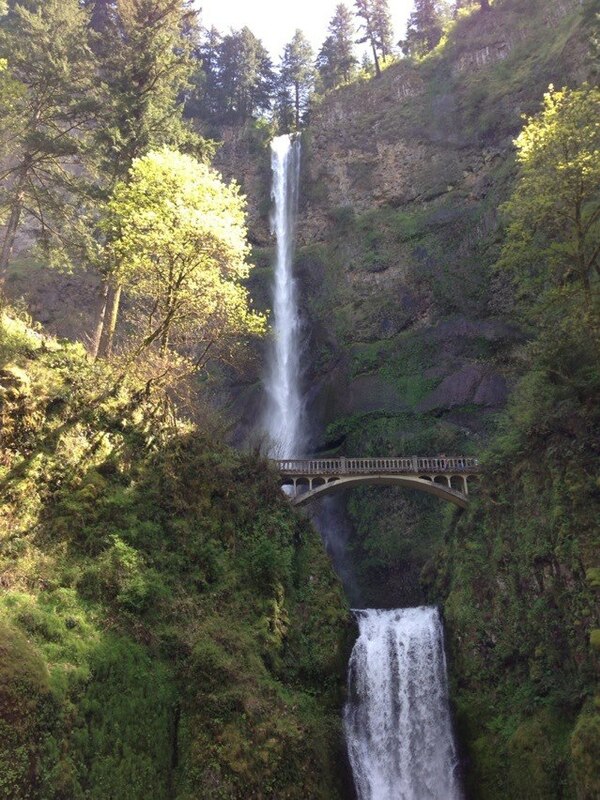 The drive gives a great overview of the gorge from several perspectives, and passes by a half-dozen very different waterfalls, including the king of them all, Multnomah Falls. After the detour, we had to cut the drive a bit short so we'd have time to make scratch chili (the next item on Joe's "must eat American foods while I'm here" list) and finish dinner before the evening's pre-party. On our way to the party, we tried to check Mike into his hotel. The festival organizers planned to provide him with a room for Thursday through Sunday nights, and he was only planning to stay with us Wednesday night until his room was ready. There was a problem with the reservation, so we decided Mike would stay with us Thursday night as well, and take another crack at the hotel on Friday. While at the Banfield Hotel, we met Wilum Pugmire, who needed a ride, so he hitched along. What group of Lovecraftians wouldn't want to add the fabulous Wilum to the fold? 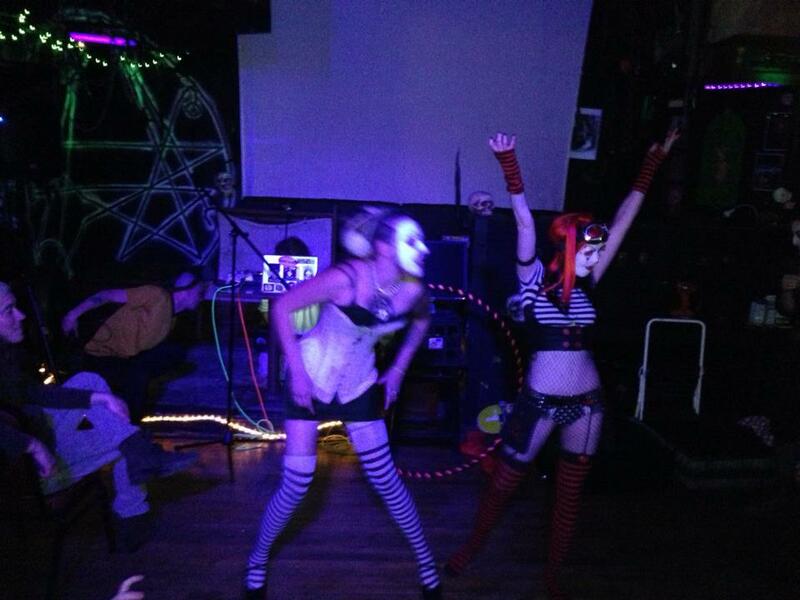 The pre-party was an optional, open-admission event which took place before many HPLFF guests had arrived in town. Outside the Lovecraft Bar, waiting to get in, we met a few other attendees, like Cameron Pierce, Rose O'Keefe and Jeff Burk, for whose book Shatnerquest the pre-party doubled as a book release party. Inside, Lena and I sat with Wilum, and Joe drifted around the room with Alicia Graves, another Facebook friend who had just arrived. After an introduction mentioning Jeff Burk and his new book Shatnerquest, Ross Lockhart read a section from his excellent debut, Chick Bassist. There was too much echo on the public address for a reading, but the general idea off Ross's book came across. 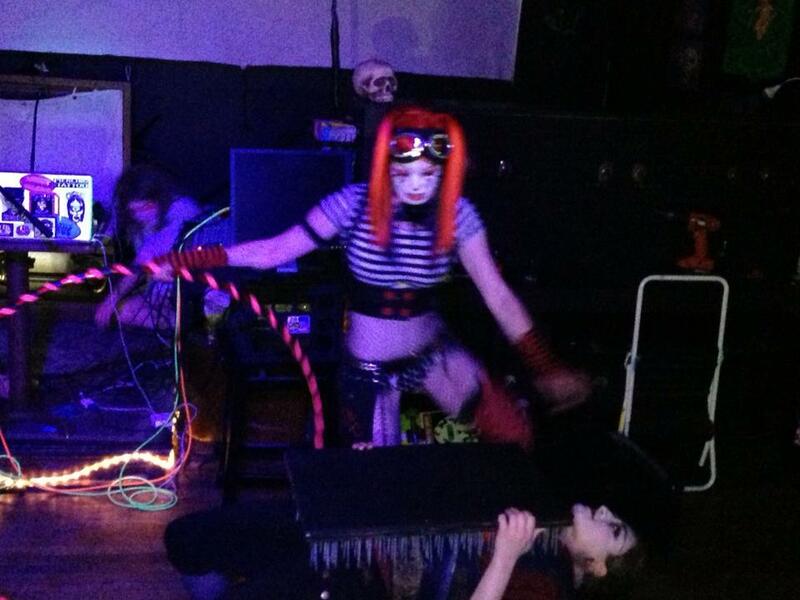 There was a wild and bizarro-appropriate musical performance by Effword, followed by a crazy circus sideshow performance by a sister trio. 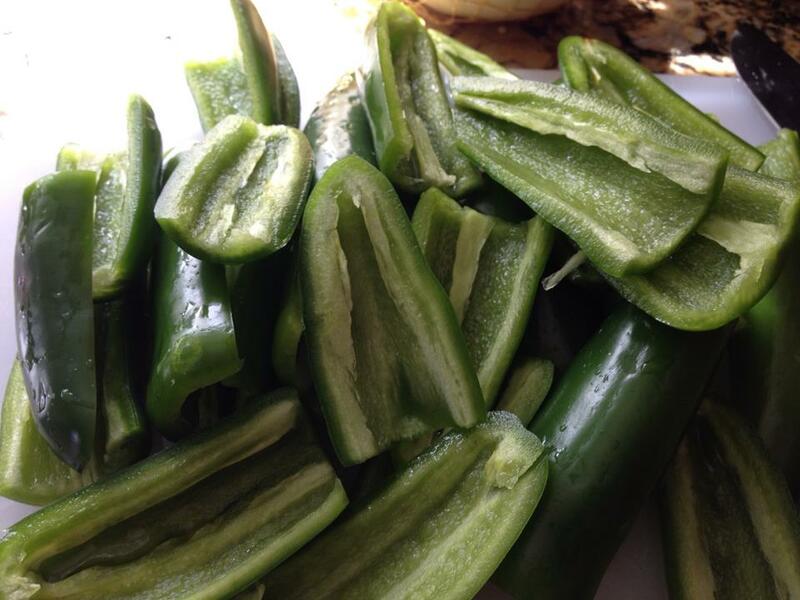 Nails hammered into faces, holes power-drilled into sinuses, and so on. Eventually they built a many-layered construct of beds of nails and scantily dressed sisters, on top of which stood the third sister spinning a hula hoop. Throughout the evening, Jeff Burk offered a series of raffle giveaways. I won a raffle prize -- both of Jeff's Shatner books, Shatner Quake and Shatnerquest -- and Joe Pulver won another prize, a Lovecraft Bar t-shirt. Our group dominated the raffle winnings! 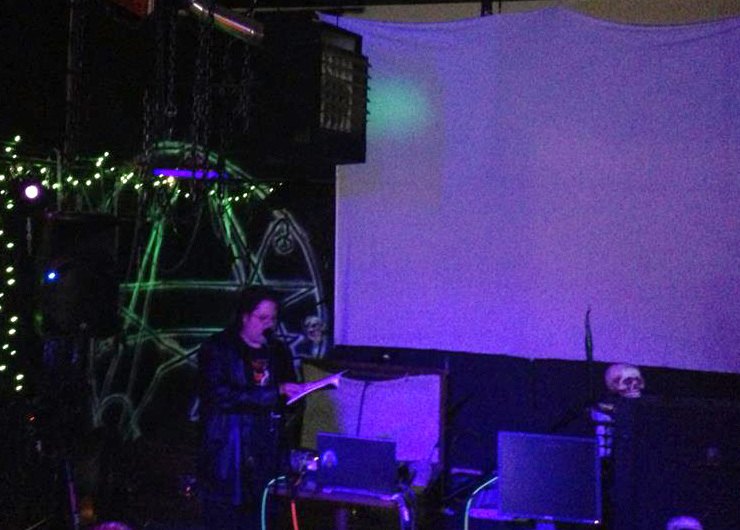 Apart from this once-yearly event related to the HPL fest, the Lovecraft Bar is worthy of mention in its own right. 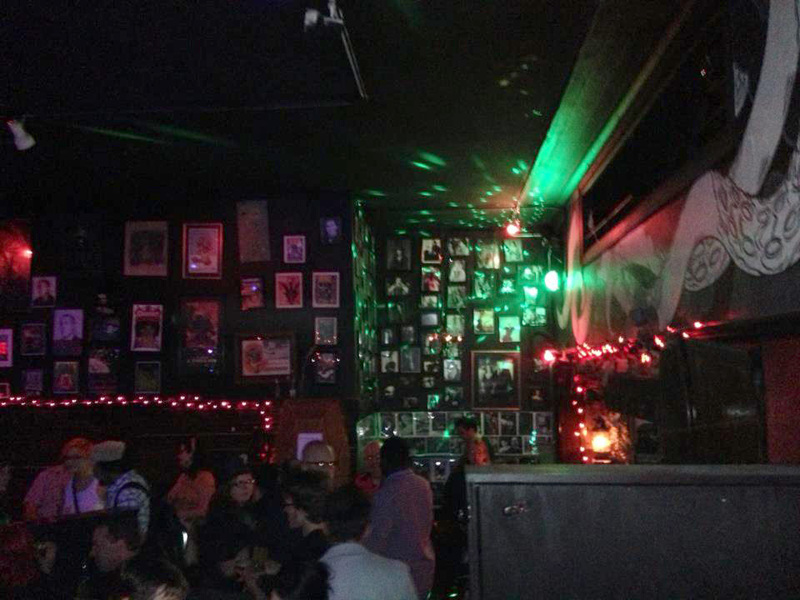 It's on the small side (and was totally packed for this event) with a suitably goth/horror decor, and walls so packed with photos and art, I wish I'd had time to look more closely. 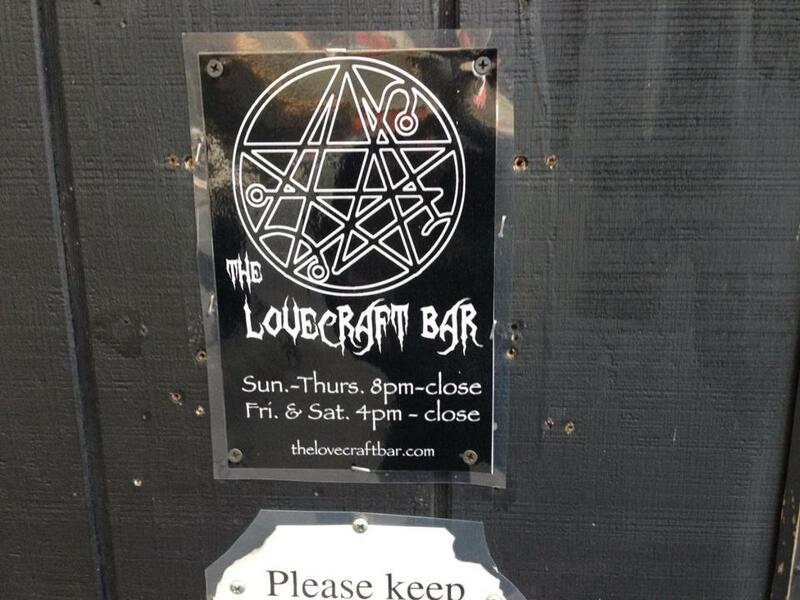 Portland is fortunate to have such a cool Lovecraft-themed bar, to go along with the film festival a few miles away. 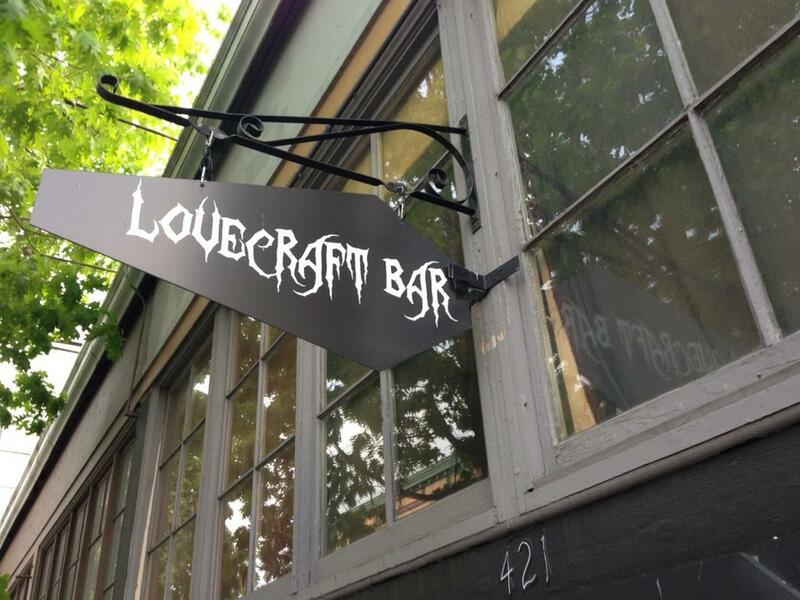 I was surprised how many Lovecraftians present, many of whom were Portland residents, or many-time attendees of the HPLFF con, had never been to Lovecraft Bar before. This relatively late Thursday night marked the end of our pre-festival activities. The next day, Friday, the real action would begin!